KOHAT: Five human traffickers including a woman and a policeman were arrested here on Thursday on the complaint of girl, who was kidnapped by them, police said. They said that the girl, a resident of Qillah Ahmedabad in Punjab province, managed to escape from the custody of the human traffickers and informed police. 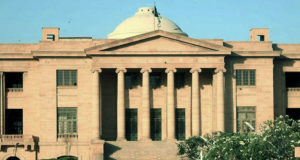 Five members of the gang were arrested and presented before a local court, they added. The court remanded the accused in custody of police for two days. The girl told police that she developed friendship with a woman in Kohat through cellular phone. “The woman offered me a job on my request. 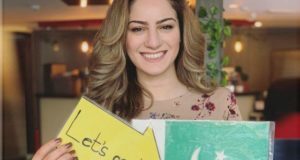 She asked me to visit Kohat and be her guest because she had found a good job for me and I was required to join it soon,” she said. She said that the woman handed her over to a constable in reserve police. 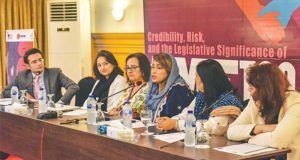 She said that the constable took her to a flat near Kohat Springs in Shinwari Plaza where six of friends were already present. The girl alleged that the men gang raped her. She said that she managed to escape from their custody and reached a police station. Police arrested five of the accused including the woman and constable while three members of the gang were absconding. The arrested woman told police that the constable forced her to help them in the illegal activities. Meanwhile, police have established a driving school and started classes to create awareness among people about traffic signals and other rules. The school has been established at the police lines and it will be operated by the Rescue 15. Police has arranged a car and a jeep for imparting training of driving to people. The fee for the one month curse is Rs3,300. After completion of course, certificates are awarded to people to help them in getting driving licence. The in-charge of the school, Arab Jan, told Dawn that presently 34 persons were getting training at the school. Among them three were Afghans, he added. —Correspondent religious scholars who talked of religious harmony and tolerance were forced to leave the country by the forces of hatred.